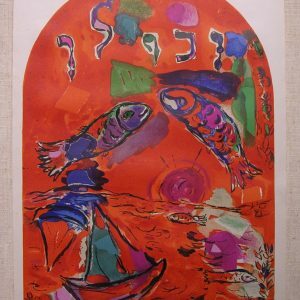 During the 1950s the renowned French printer, Fernand Mourlot, printed most of the ‘original’ posters for the important artists of the day. 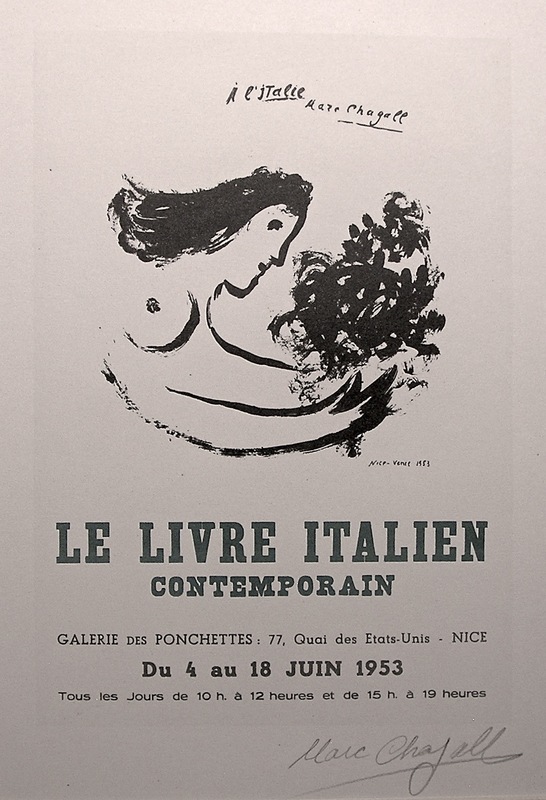 In 1959 Mourlot printed the series ‘Affiches Originales’ for collectors. 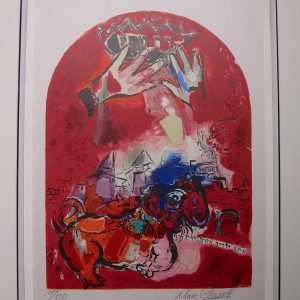 They are reduced lithographic versions of the ‘original’ posters created by the contemporary masters, Picasso, Chagall, Braque, Matisse, Miro, Leger, and Dufy. 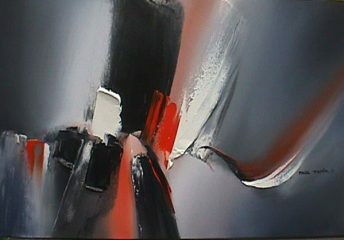 Mourlot approached the artist’s and asked that they sign a handful of the posters. 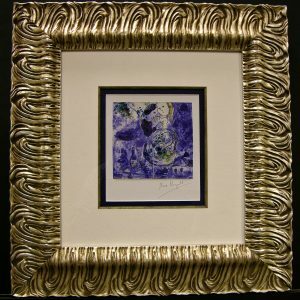 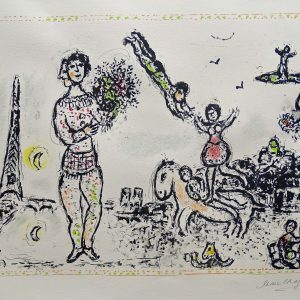 This Mourlot lithograph has been signed by Marc Chagall in graphite. 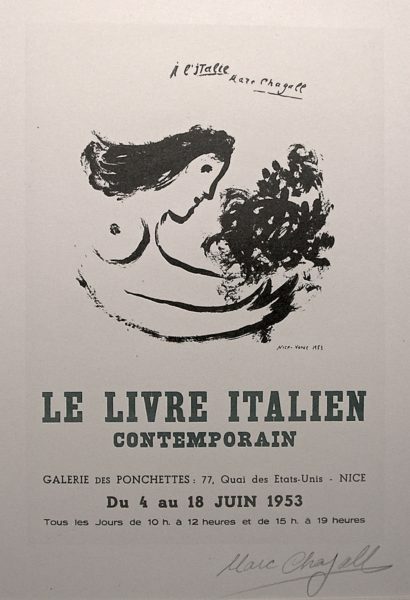 This poster was originally printed by Fernand Mourlot announcing the availability of Italian Contemporary Literature at this particular bookstore in 1953.